← Let the Yard Sales Begin! Fellow blogger and friend, Paulette of Cheerful Thrifty Door, did a post about a toy she is seeking for her grandson, I’m Going on a Trip to Find a Rocket Ship. Even though I have severely cut back my thrift shop visits, I felt the call to help Paulette find this toy, Disney’s Little Einsteins Musical Pat Pat Rocket, for her sweet grandson. So it’s Paulette’s fault that I also found the following treasures after a lunchtime trip not so long ago to the thrift to look for the rocket ship. I found a trio of the former Southern Living at Home items. Did it matter that I already had these items? No, not one bit. I like them enough to get them again. 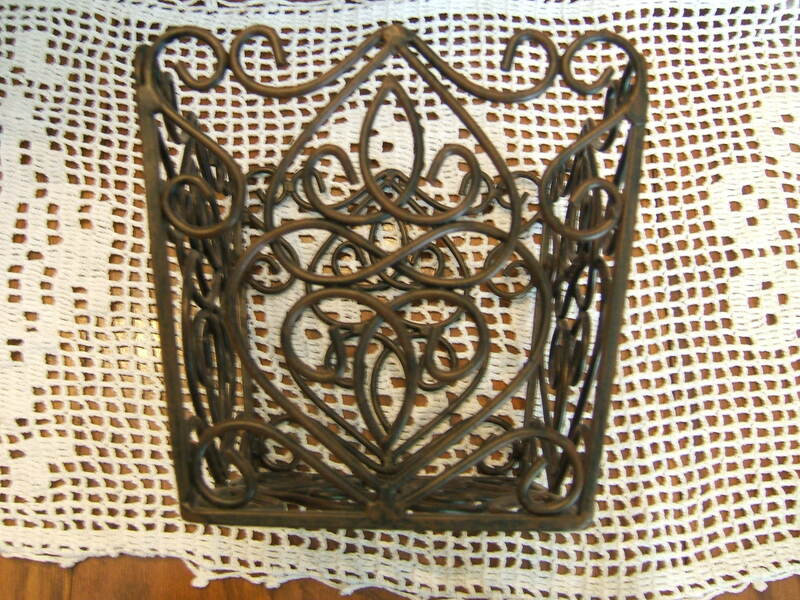 This was sold as a two-piece product; this piece is the larger of the two. Yes, I did pay full retail price for a set. Since then, I’ve also picked up several sets at yard sales and thrifts for a lot less. I find many uses for these containers. 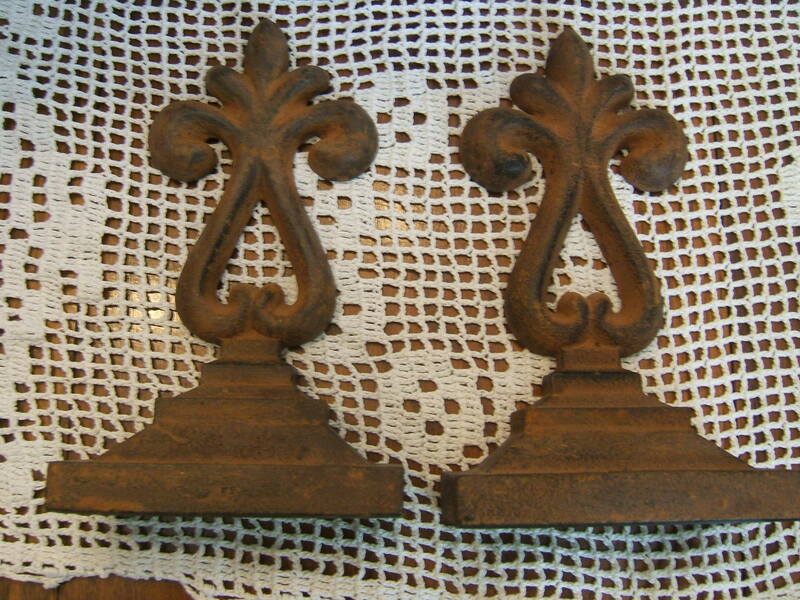 These fleur de lis bookends are quite heavy. They might be candidates for a chalk paint makeover; what do you think? I’m a huge fan of Temptations, a type of ovenware and dishes sold on QVC. When I saw these on the thrift store shelves, I had to scoop them up. 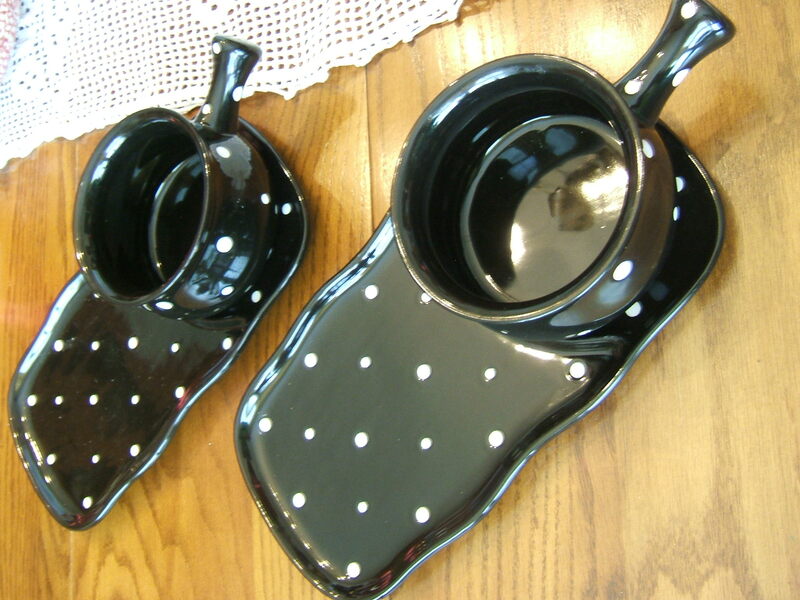 This black and white polka dot is one of my favorite Temptations patterns. The soup bowls are a nice size. For a total of $3.50 these beauties came right on home with me. Alas, I did not find the little red rocket ship. But you know what that means, don’t you? Yes, you do. It gives me another excuse for future lunchtime thrifting. Gotta find that little rocket ship for Paulette’s grandson, right? Wink, wink. This entry was posted in Dishes, Thrifting and tagged Disney, Little Einsteins, Southern Living at Home, Temptations. Bookmark the permalink.